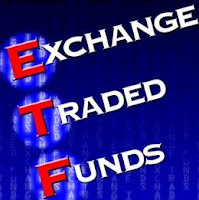 Exchange traded funds (ETFs) have gained in popularity over the last several years as lucrative alternatives to their more traditional counterpart, the traditional mutual fund. However, the wide array of exchange traded funds available to the public has left some huge question marks swarming over the heads of investors who don't know enough about the details to make the best possible investment decisions. Knowing the fundamentals of exchange traded funds will help any investor, no matter how seasoned, make the most of these variant investment vehicles. Going with the flow. Exchange traded funds generally follow the index of either a specific market, or a specific segment of a specific market. That means that in order to determine how much of a return you will make off of your investment, you only need watch the market (or segment) your ETF is indexed with. Going with the flow of a market makes it easier to gauge the success, or movement, of your investment, and it is a lower risk venture than a fund that is designed to "beat" the market. Long term versus short term. One of the best things about investing in exchange traded funds is that they make great investments over both the short term and long term hauls. You may opt to have higher risk funds to your portfolio for a quick return, or hold on to lower risk funds for a more predictable, "drop in the bucket" type investment. Tax efficiency. ETF investors don't typically reap huge, taxable returns on their capital. Instead, they see monetary benefits in the form of portfolio share price buildup. This means that investors only have to "take" these returns when they opt to, and that they can otherwise allow their portfolio values to build without drawing money from them and paying taxes on that money. Broker commissions. You will have to pay a broker commission each time you buy or sell an ETF. Therefore, if you are a very active trader, you will have to consider the costs of regular buying and selling when determining whether or not exchange traded funds are for you. If you prefer to hold your investments only on a short term basis, then a more traditional, commission-free mutual fund investment may be more your speed. Exchange traded funds can be a great investment option for investors of every type. However, they have some unique characteristics that make them better suited for some than for others. Consider all of these factors when deciding if you should, or shouldn't, put your money into ETFs. Clyde Howe is an amateur investor. He's preparing to take a class on stock investing for beginners to refresh his basic skills before moving on to higher risk markets.